How many chances do you give to a cheating spouse or an abusive spouse/significant other? Wow, there’s a saying that goes, “short and sweet” my spin on this cliché as it relates to your letter is that it is “short and bitter”. There is no right or wrong answer to your question since the answer will vary based on each individual situation. And it appears from your question that you may be asking for perhaps yourself and/or someone else because there are two parts to your question: 1) a cheating spouse OR 2) an abusive spouse/significant other. Due to the sensitive nature of your questions, I will keep my answers brief. First of all, if you or someone you know is being physically assaulted, you/they should seek safety. I am not a domestic violence expert and suggest that help be sought out. As far as the infidelity is concerned, there are some women who cannot forgive a cheating partner and others who can move past it. That being said there is no magic number as to how many chances you give a cheating spouse – this answer will vary for each individual. Finally, there have been previous posts to this blog about infidelity (http://terry411cato.com/?s=infidelity&submit=Search) and domestic violence (http://terry411cato.com/2011/09/23/what%e2%80%99s-love-go-to-do-with-it/). Please refer to these posts for additional information, resources, and encouragement. DISCLAIMER: The information or advice in this column should not be substituted for professional counseling. The thoughts expressed in the “Ask Terry” segment of the Relationships-411 blog are the thoughts and opinions of the writer and should be viewed as information and entertainment only. By submitting a question to the column you are hereby granting us permission to publish your question on this blog. There is no written rule regarding Valentine’s Day gift giving etiquette. The history of Valentine’s Day is shrouded in mystery and has evolved into what it is today; showing love and appreciation for those special to you. 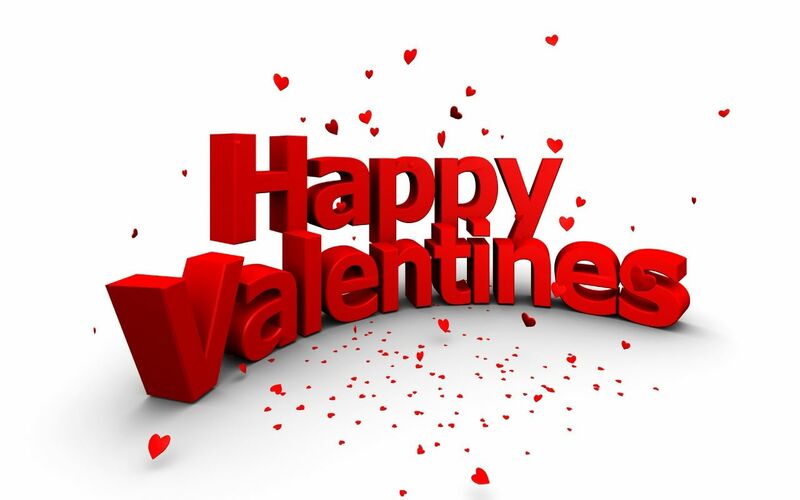 Now-a-days parents give Valentine’s to their children, kids exchange simple Valentine’s at school and those with a romantic interest exchange gifts showing their love and appreciation for the other. As a matter of courtesy, I would say that a male and a female should exchange gifts. If the couple is unmarried and just dating, the gift exchange should be simple and inexpensive; the gift exchange for a married couple – well, the sky is the limit. Happy Valentine’s Day!! I am currently dating the ex-boyfriend of an acquaintance from college. We graduated from the University almost 15 years ago and haven’t really kept in contact over the years; so we are not friends per se now, and were mere acquaintances in college. I have no problem with dating him, however, a couple of mutual friends are giving me a hard time, saying that I broke the “girlfriend code” by dating someone that one of our friends from college dated. What are your thoughts? Did I break the girlfriend code? You made a key point regarding the “girlfriend code” that you and this person were acquaintances, not close friends in college; also sounds like you two have mutual friends. That being understood, I personally do not feel that you broke the girlfriend code. On the other hand, had you and this individual been friends in college, my answer would obviously be different and a bit more complicated. For example, if a friend has dated a guy in the past, is he off limits forever? Even if the friend passes away, is her ex still off limits? What about high school ex-boyfriends, are they off limit as well? Regarding the latter, this will vary based on the friendship and my advice is to assess your friendship with someone before dating their ex, and ask them if they are comfortable with you dating an ex-boyfriend. You may find that you have to choose – don’t be surprised. DISCLAIMER: The information or advice in this column should not be substituted for professional counseling. The thoughts expressed in the “Ask Terry” segment of the Relationships-411 blog are the thoughts and opinions of the writer and should be viewed as information and entertainment only. By submitting a question to this column you are hereby granting us permission to publish your question on this blog. This situation does not involve me personally, I’m kind of on the outside looking in; and am trying to give some sound advice to someone I care about. My brother has been dating his babies mamma for several years, they have an on-again – off-again kind of relationship; and he has been a live-in boyfriend when they are together. Their relationship has gotten to a crossroad where she wants them to get married and my brother is not interested in getting married at all. This young lady has hinted at asking my brother to marry her since he has not initiated a marriage proposal himself. She has been hanging on waiting for him to propose for years now – it’s obvious he has no plans to ask – at least not anytime soon. I’m screaming inside, “leave him, JUST leave him!” I want to tell her this, but I don’t want to overstep my boundaries or strain the relationship that I have with my brother. Wow! I can see you literally, throwing up your hands and yelling, “LEAVE HIM!” All jokes aside, for those on the outside, looking in and trying to understand the dynamics of someone else’s relationship can be quite complicated since we never know all the details of someone else’s relationship business. However, you mentioned several key points that I will address: 1) that your brother and this lady have been dating off and on for several years now. This sounds as if this relationship is “home” for one if not the both of them; meaning, when something better comes along, I will explore that option; and if that relationship does not work out, I know I can always come back to you. How unfair is this? Who wants to be someone’s in the meantime, in between time type of partner? My answer is, no one with a healthy self-esteem; 2) another point you made, that your brother and this lady have children together. This could very well fuel the on-again status of their relationship. Perhaps they are trying to make it work for the sake of the children. They should be careful of trying to force a relationship that perhaps neither of them really wants for the sake of the kids. In the long-run this could backfire – imagine the resentment the person would feel knowing that they only stayed around in a toxic relationship for the children. For some people they are better apart and their children grow up seeing their parents actually co-parent and get along instead of viewing two people live together in dysfunction just because and harbor resentment; and 3) that this woman has hinted at asking your brother to marry her since he appears to have no intention of asking anytime soon. This I see as problematic as well. Tradition aside, the very essence of a man is to seek and conquer. Men love a chase. A woman asking a man to marry her may sound forward thinking and in line with the times, but I guarantee you that any real man would not want his woman asking him for his hand in marriage. I do believe men still want the duty of asking for a woman’s hand in marriage. I am married and I have a secret bank account that my husband has no knowledge of. I’ve had this account since before we were married, there is a significant amount of money in this account – several thousand dollars and I sometimes feel bad about having this secret stash, mainly when things get tight around the house. I am tempted to tell him about the money but always come to my senses before I spill the beans because my mom told me that I should always have some money put aside for a rainy day that my husband does not know about. I feel bad keeping this secret from him, however, I do feel empowered knowing that I have money put away “just in case.” Do you think I should tell him about my secret stash? Why or Why not? You are not alone; many women, me included have received this advice from well meaning women in our lives. I understand the concept, however, I do not agree with the “secret” part. Being a woman, I get having a “just in case” stash. Some may ask, what is a “just in case” stash; “just in case” my husband loses the good sense that God gave him and decides to leave me, I will have money to help with my transition. That being said, I do have an account that my husband does not have access to, but he knows I have the account. This account that I maintain is the one that was my main checking when I was single. I can so relate to your dilemma, because I had this same issue prior to getting married. I made the decision to tell my husband about the account, he did not agree with me having it, but understood my position. I simply did/do not want to put my total financial trust in a man, especially being that I was single and self-sufficient for so long. Additionally, I have flashbacks of that scene in the book and movie “Waiting to Exhale” when Bernadette went to the bank and she couldn’t access the joint accounts. I cannot tell you what to do; however, I believe you already know what to do. First of all, do some soul searching and come to terms with why exactly are you maintaining a “secret” account; then discuss your feelings with your husband – be open and honest. In this situation, communication is critical – there is a much deeper issue than keeping a secret bank account. DISCLAIMER: The information or advice in this column should not be substituted for professional counseling. The thoughts expressed in the “Ask Terry” segment of the Relationships-411 blog are the thoughts and opinions of the writer and should be viewed as information and entertainment only. By submitting a question to the column you are hereby granting us permission to publish your question on this blog. You may submit your question or relationship dilemma to ask@terrycato.com for the chance to be one of the featured questions of the week.